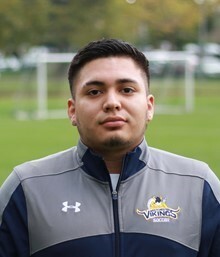 The Mid-Hudson Conference is happy to announced that Joel Arevalo of Westchester Community College has been selected the Most Valuable Player of the 2017 season. 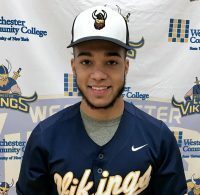 Selected to the All-Conference first team are Luis Morales (Westchester), Niko Barbetto (Rockland), Bernard Alexander (Rockland), Damien Rainford (Rockland), Isaac Villa-Vargas (Dutchess), George Pogyo (Dutchess), Adrian Lopez (Ulster), Andrew Kraemer (Dutchess), Alex Censi (Dutchess), Jamar Gayle (Westchester) and Miguel Perez (Westchester). Selected to the All-Conference second team are Ivan Ochoa (Westchester), Patrick Frascello (Orange), Mate Mgeladze (Westchester) Zachary Mcvey (Orange), Christian DeRico (Dutchess), Brendan Lynch (Rockland), Richard Rosales (Orange), Troy Callahan (Rockland), Andre Marin (Orange), Guieseppe Vanoni (Orange) and Kevin Kelly (Ulster).